I’m taking a long weekend break from writing my next book, The Chakra Diet, to celebrate my birthday. 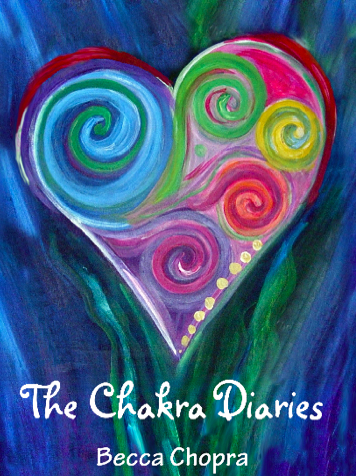 I hope you’ll accept a gift from me – my first book, The Chakra Diaries, will be free on Kindle to download March 7-9. “The first thing that grabbed me was the cover: all those swirls turning in one direction in harmony, it’s not something I’ve seen before. Only later did I realize there’s a hidden meaning in this cover, showing that, interwoven in the story are the lives of different characters as they attend a 12 week chakra workshop and experience a major shift in their lives. During this workshop, as characters come and leave, the reader’s taught how the energy of healing and different people can leave a mark on one. To be honest, when I started this book I expected a formal handbook with explanations what chakras are, how they work, and how blockages can be removed. However, I was wrong. The Chakra Diaries offers a unique way to teach the reader how energy impacts one’s life by giving peeks into the diary entries of the main characters and their lives, their experiences, disappointments and happy moments. I hope you enjoy the inspiring quotes, stories, and interwoven chakra information and balancing meditations when you download your copy of The Chakra Diaries. If so, please leave your own review on Amazon.